Japanese designer Satoshi Umeno has created a beautiful wooden air purifier that looks like a miniature house. Dubbed the Chikuno Cube + House, the design consists of an all-natural wood base and a honeycomb cube of bamboo charcoal that cleans the air and freshens your home without the use of chemicals or electricity. The Japanese have traditionally used charcoal – a product we usually associate with dirty outdoor grills – as a natural filter that absorbs impurities in air and water. It’s the same principal behind Brita pitchers and Bobble Bottles, although Satoshi Umeno‘ air cleaner uses a big block of aerated activated carbon. The block is created through a controlled burning process – pieces of charcoal are slowly heated in an oxygen-starved kiln until they become carbon. 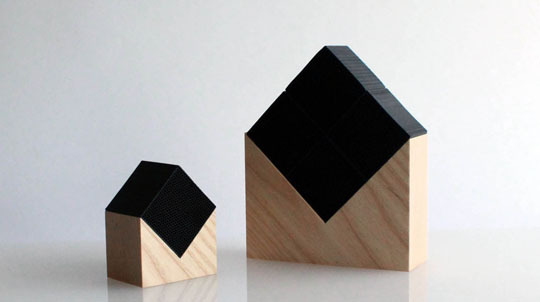 Designer Satoshi Umeno has created this beautiful wooden purifier to deodorize the home. 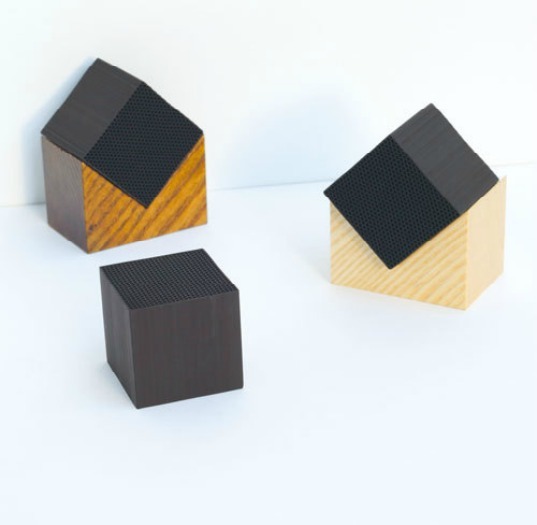 Adapting an ancient Japanese custom of using charcoal to purify the home, Umeno designed this miniature house concept dubbed the Chikuno Cube + House. The idea is that simple structure resembles the larger home, combining an all-natural wood base and a honeycomb cube of bamboo charcoal which then purifies the larger space without using chemicals.